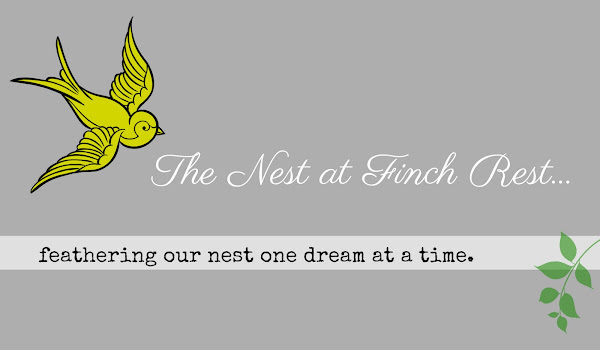 The Nest at Finch Rest: Thrifty Birdhouse! Look what my eldest daughter found for me when she was out & about thriftin'! 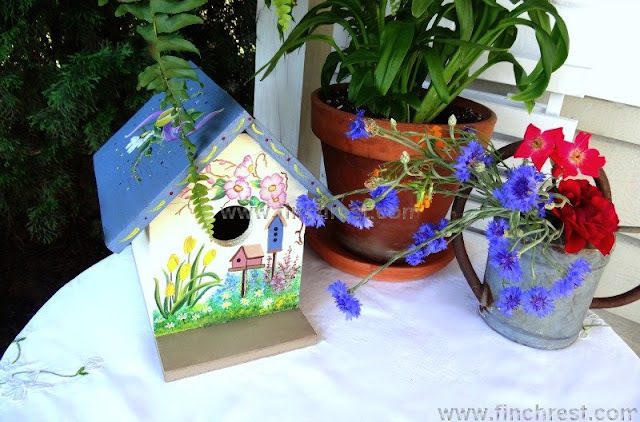 A sweet little hand painted blue-roofed whimsical birdhouse! With birdhouses painted on it, too! 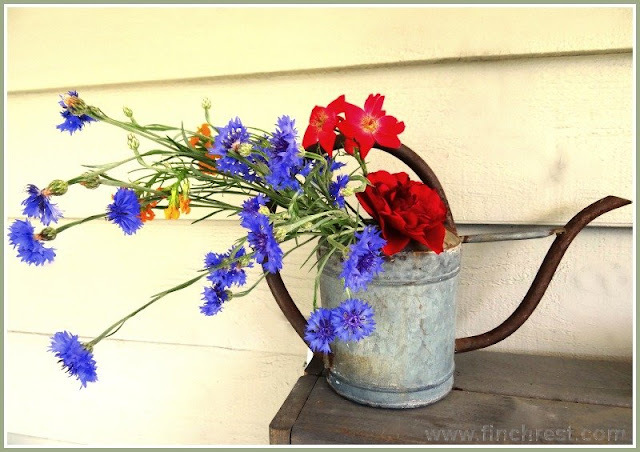 of some of our wildflowers placed in my trusty, rusty watering can. sitting prettily on my potting table. She is thoughtful like that...she KNEW I would find them! As like my daughters, these two things are completely different, yet go together well. "Zen Room" that my DH built a few years ago! Thank you for your visit today and giving me an opportunity to share my nest! Such sweet, thoughtful gifts from your daughters! 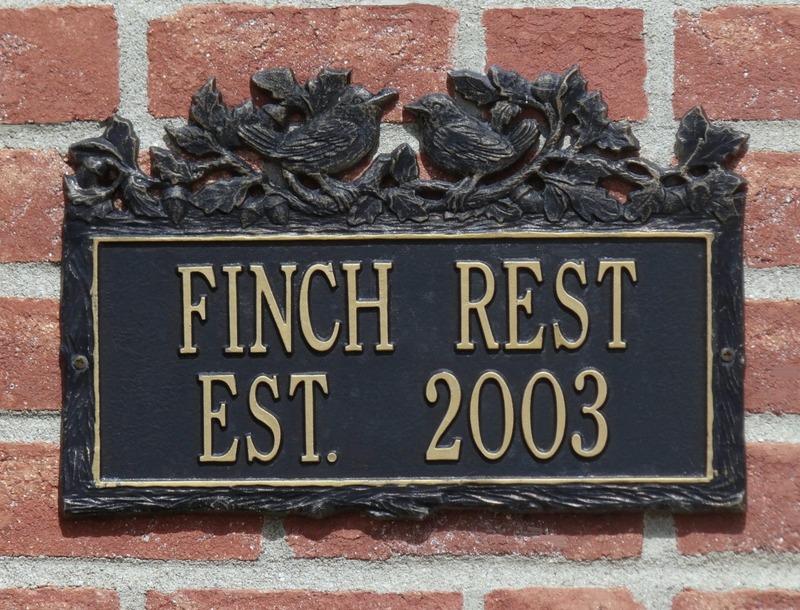 Love the photos, too, Michele. 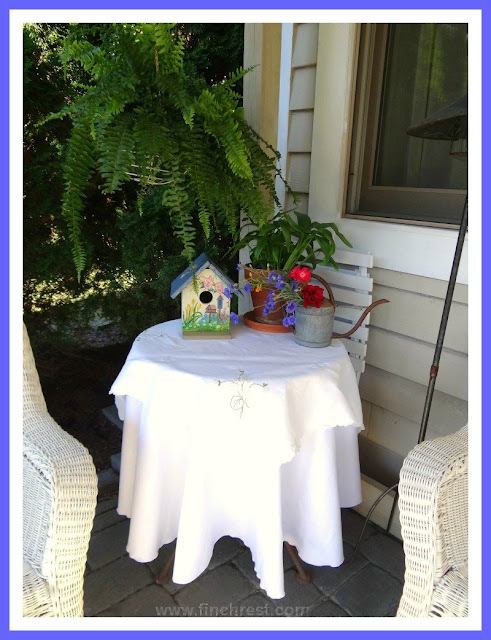 I love your birdhouse, Michele! How nice of your daughter to think of you while she was out and about. It makes for a lovely vignette with the flowers in the watering can. The blue of the flowers looks very much like the blue on the roof of the birdhouse. What a happy coincidence! 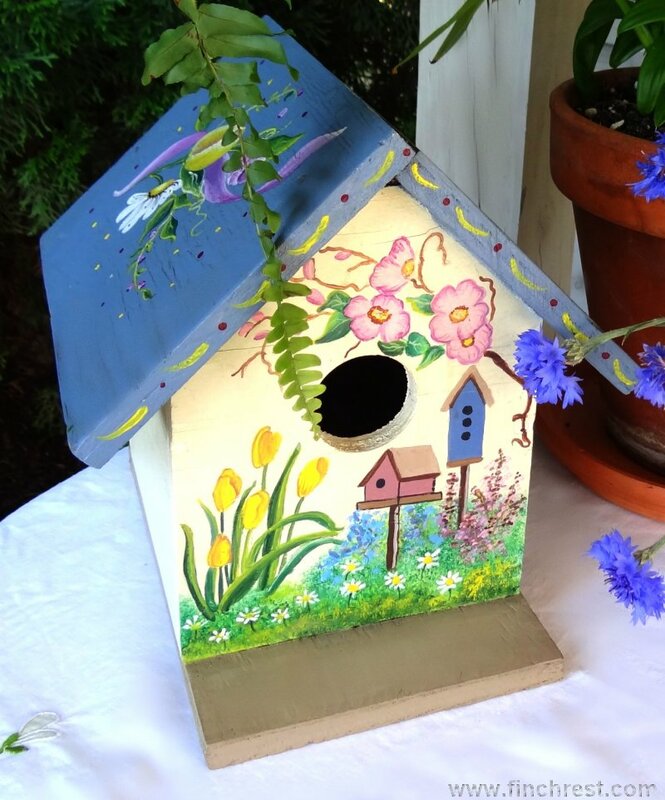 Love the birdhouse your daughter found for you. 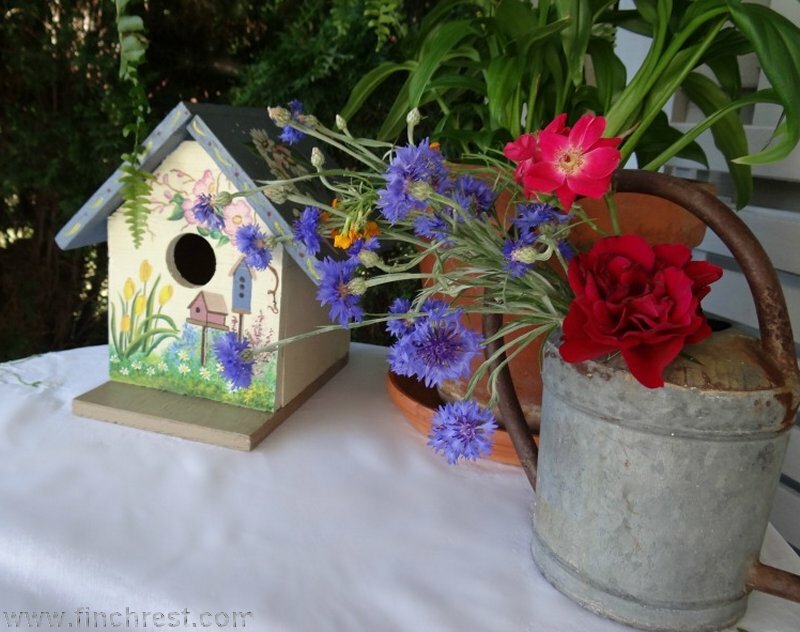 The watering can is perfect for the surprise wild flowers. You have wonderful daughters. Lucky you!!! Lots of love! Sounds like you have two very thoughtful daughters Michele. How sweet they bought brought you surprises and both gifts look perfect for your post. what a wonderful surprise...and you obviously have raised some very thoughtful daughters! They look so nice on the table! What sweet daughters you have. I think you have two budding decorators in your family! 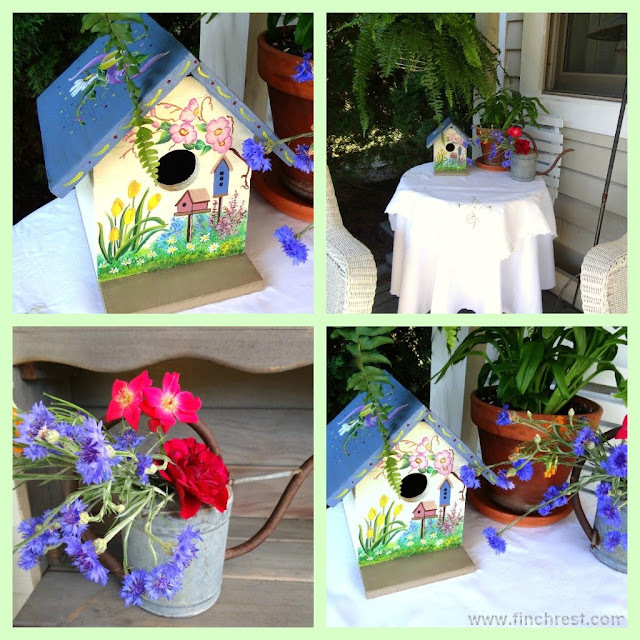 The birdhouse is adorable! And I love the flowers in your old can. They certainly do go together! Those are lovely gifts! This is a wonderful post. 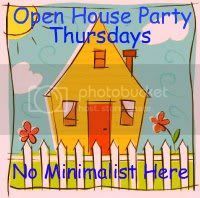 Thank you so much for coming by and linking up. Have an awesome weekend! That is so sweet. What a fun gift to receive. What a sweety your daughter is. She obviously loves her Mum and wants to spoil her with a little peace of loveliness. That was so thoughtful of her to bring to you. I love those flowers in that old watering can.